Ida Bagus Rai Budarsa, more commonly known as Gus Rai, is the Balinese entrepreneur and visionary behind the island's first and most internationally awarded winemakers, Hatten Wines. Gus Rai, the Balinese entrepreneur and visionary behind Hatten Wines. James Kalleske, Head Wine Maker and Technical Advisor, for Hatten Wines. 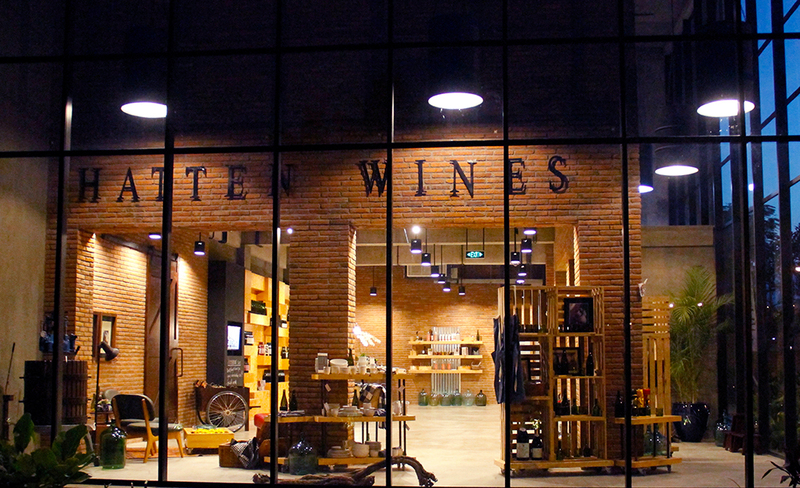 The Cellar Door, the New York Loft style HQ for Hatten Wines in Sanur. 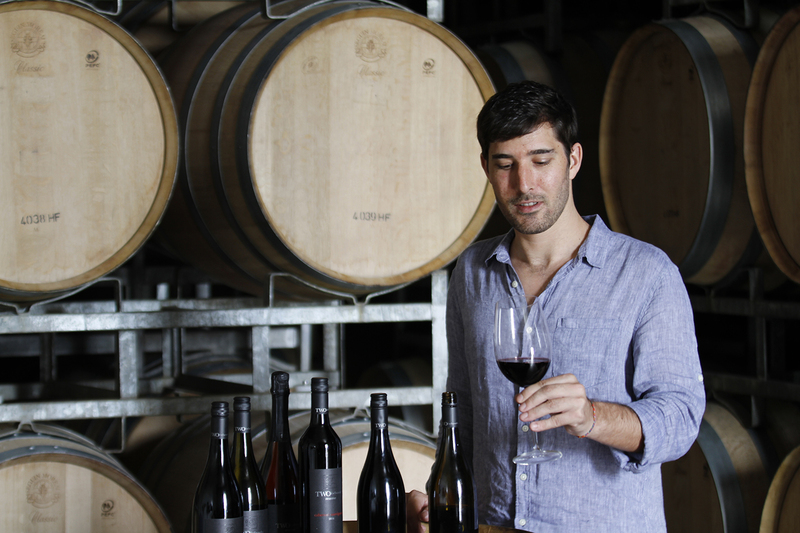 WILLIAMS MEDIA managed to sit down with Gus Rai and his Head Wine Maker and Technical Advisor, James Kalleske between a busy round of international flights and wine tasting to find out more about doing business in Bali. Some people would argue the idea of making wine in Bali is a crazy idea. Why did you even think of doing something like that Gus Rai? Well, I have to let you know, I like drinking good beer and good wine and in the early 1990s there wasn't much of either in Bali. In fact, in those days all wine was imported and expensive as a result. I'm Balinese and it's in my DNA to do something beneficial for my community and I felt it was a good idea to develop a real homegrown Made in Bali product. That opportunity presented itself in 1992 when a group of Australians approached me to make wine in Bali. For one reason or another it didn't take off, but the wine maker stayed on. I already had a license to make alcohol and was making Brem (rice wine) and Arak at the time. My distribution network to hotels, resorts and restaurants was pretty good and I thought making a Bali wine from grapes was a dream worth chasing. That's when Hatten Wines was born. There are those in the expat community who think you only use imported frozen grapes from Australia. Is that true? We have two products, serving different market preferences; Hatten Wines, which uses grapes grown locally in North Bali and Two Islands, which uses imported grapes. Our customers in Jakarta prefer Two Islands, maybe because Jakartans really like imported products or maybe because we did struggle with consistency and quality in the early days and we only produced Rose. Things are very different now, but it's still an ongoing mission to find the right grapes. You have vineyards on Bali's north coast. Why did you choose that part of Bali? Did land prices have any influence on this decision? We have around 40 hectares of vineyards along the north coast about 30-kilometres from Gilimanuk and another 40 hectares cultivated by local farmers in the same area. We don't use land in the hills around Singaraja because there's more sunshine along the coast. Our first vineyard was in Mengwi in the south but the climate in the north was better for us. And so was the price of land! In those days land prices were much more sensible than they are now, which is why these days I think it's better to lease than it is to buy. Do you see opportunities in North Bali for property developers especially as there's so much talk about a new airport being built there? North Bali has a lot of opportunities and a great deal of potential. Yes, there's a lot of talk about the new airport being built near Singaraja and Lovina and that's sure to benefit the local economy. But the north is also where the National Park is and there are a lot of other great destinations for visitors in the area. Do you have your eyes on any other parts of Bali to develop? Yes we do. We already have some land in Gianyar and are developing a visitor centre with a small vineyard there. We already have a visitor centre on the north coast, which is getting busier every year, especially as some of the larger hotels have started promoting us. Creating experiences is certainly something we believe in so visitors to Bali can go home having done something unique. Hatten Wines is a true Balinese company, owned by a Balinese family and managed by Balinese people. Your slogan is ‘Proudly Balinese’. Why is that so important to you Gus Rai? It's very important. I come from a Brahman family from the Taman Sari Gria and that means I was brought up with the idea of serving people and helping the community. I really believe in doing something for Bali and so my businesses are run and managed by local Balinese. But apart from business we also focus on training so the younger generation can compete in a very competitive global market; we have a centre for wine education, we have bee keeping programmes in the vineyards called Plan Bee, we provide scholarships, we have Bali dance classes, English classes and trash education. Our student placements and internships with Hatten Wines cover marketing, accounting, horticulture and food science and we also receive international students from France and Belgium. "New Latitude" wine regions (Asian wines) are gaining respect internationally and you've won many international awards. Is it fair to say Asian wines compliment Asian foods and tastes? Wine drinkers tend to be more adventurous in trying new things and yes there is a connection between Latitude Wines and the Asian palette. Asia is really innovating with wines. There's still some way to go and lessons to learn but the market potential in Asia is massive. How important are the awards and recognition for you as a business and for Bali? We're very proud of the awards we've won. It's recognition for all of the hard research and development work our team has done and proof that we're doing well. Last year (2017) we won the Asian Winery of the Year and that was a great boost for us as a business and for Bali. The Cellar Door, the place to enjoy tasting the best of Hatten Wines in Sanur. What business trends are you noticing in Bali? The trend we're seeing is all about the experience. It's not just about the price. If you offer the experience then people will come to you because they like to be where you're doing your business and they feel a connection with why it is you're doing what you're doing. There's a growing trend for environmental and green initiatives right now, which smart business are taking on board. We're also working on getting environmental certification. What do you both enjoy most about Hatten Wines? What advice do you have for people wanting to start a business in Bali? Simple. Follow the rules and regulations and bring something original to the table. Traditionally, foreigners have done this in Bali and we have embraced their ideas, and given them our Balinese twist, of course, but this has helped us survive and grow, while allowing our culture and traditions to remain front and centre.